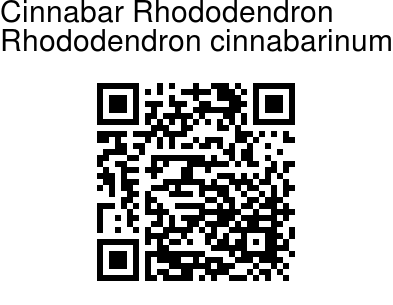 Cinnabar Rhododendron is a rhododendron native to the Himalaya range in Asia, noted for its variety of leaf and flower forms and year-round cinnamon-and-camphor aroma. A small to medium evergreen shrub has leaves with a distinctive metallic sheen. The flowers, produced in spring, are tubular with spreading lobes to 3.5cm (2in) wide and as long. Flower color varies from plant to plant, from scarlet to yellow, with some bicolour forms. The leaves can be wonderfully aromatic as the new foliage unfurls in the spring. The nectar of this species is reputed to be the most poisonous of all rhododendrons. 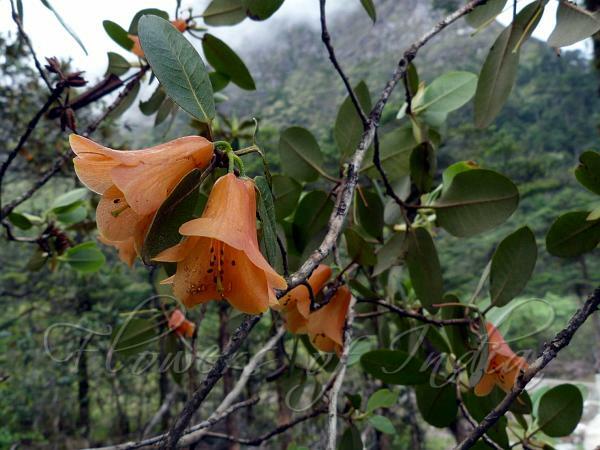 Photographed in Tawang distt, Arunachal Pradesh and Sikkim.